Don’t you love those well-designed games that create that thrilling casino atmosphere? You’re welcome to try your luck on the Super Duper Cherry Video Slot, a classic fruit game with enticing cherries which have superpowers! This is a retro-looking Video Slot that looks just as good on your mobile phone as on any other portable device or computer. So follow Videoslots.com and Gamomat on this rewarding casino adventure! Let's take a closer look at the game's layout and features. 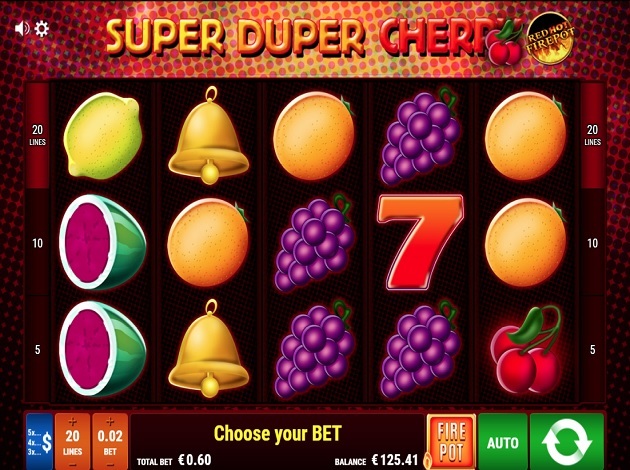 As soon as you open the Super Duper Cherry Video Slot, you are taken to the soft floor of the casino with fruits, bells and Red Sevens filling the screen in front of you. The game interface consists of five reels and three rows where 20 paylines can land from left to right in the picture. The minimum bet is of € 0.05 – at just € 0.01 on the five minimum paylines, while the maximum stands at a very decent € 40 – that is just € 2 on all the twenty paylines. The game’s RTP is 96.10%. The first thing you need to do is select how many paylines you want to keep active as well as adjust the bet amount. This is done via the control panel just below the reels, while the active lines can be set by clicking the buttons on the side of the reels. In the control panel, you can also see how much you've won as well as set the autoplay mode – from 10 to 100 automatic spins. Every time a winning combination lands on the reels, you can choose to gamble the win with the chance to double it in the so-called Gamble feature. Choose between gambling via the step ladder game, or guess the colour on the playing cards. If you win, you can continue to gamble, but if you lose once all your assets are gone. The game's main focus is not on offering a variety of complex special features, but more on the ability to relax in a simple game mode which features familiar symbols. In addition, the vitamin-chopped cherries help you on the way to winning extra benefits. The Extra Cherries Power function is triggered when at least five cherries land in a winning combination. All cherries on the reels will then turn into any of the other randomly selected basic icons, and since the berry is the symbol that gives the lowest payout it is also more frequent. This makes it possible for the extra feature to be fully enabled for activation on a more frequent basis. As mentioned earlier, there are 20 optional paylines that provide payouts from the left-hand side of the screen. The payout amount you receive depends on the wager you placed before starting your spin. At least three matching symbols are required to form a winning combination. There are four high paying symbols in the payout table, and the highest payout comes from the Red Seven. After that, you will find the Bells, the watermelons and the delicious purple grapes, while the oranges, the lemons and the cherries will pay out a far smaller amount. The Super Duper Cherry Video Slot is inspired by the classic game machines and will not disappoint any returning fruit slot lover. The game interface is in a deeply red colour against a background in the same colour. Stylish shades and strong colours characterise the symbols which are large and clearly visible on the wheels. There are only seven different symbols to keep track of, creating an unpretentious and welcoming atmosphere. Sit back and hit the spin button to see the winning lines land on the reels of the Super Duper Cherry Video Slot. The classic symbols may remind us of the old days, but the winnings are paid out in today's fresh currency. We hope you will enjoy the game and wish you great luck! Gamomat is a game developer offering players a vast gaming experience – no matter what they are looking for, they will find it with Gamomat. They focus mainly on developing Slots, Casinos, and Jackpot games for the international markets and the biggest operators out there. Today, they offer more than 250 unique titles. The games are available across all devices, such as online and mobiles, but also as Slot machines in land-based casinos. The games are all developed with top nosh technology, meaning that the games are all modern and up to date and successful. 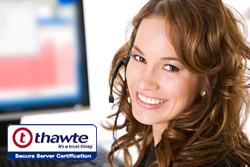 The operators are a mix of the biggest and the best in the business. All games are in HTML5 and Flash, meaning that they are optimal for all players to play. The games are also available in multiple languages, and the games are all made in various themes, which is important for Gamomat. The themes are innovative, the features are rewarding, and the graphics and designs are well-made. Easily enjoyable games to say the least. Some of the other games brought to you by Gamomat are Crystal Ball, Explodiac, Fancy Fruits, and Fruitmania.